When the Lightning Girl’s spark is gone, who will light the way for the rebellion? 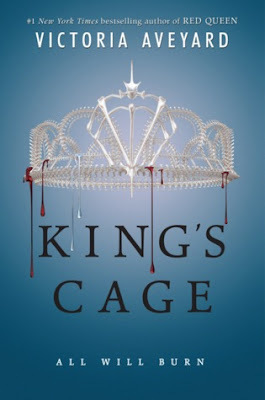 I didn't originally plan to start reading King's Cage so soon after finishing Glass Sword, but after that pretty massive cliffhanger ending, I couldn't wait to dive back into the story. I really needed to know what was going to happen next, even though I knew reading this book would make my wait for War Storm that much harder. I started the book anyways, and now I need the next book in my hands ASAP! 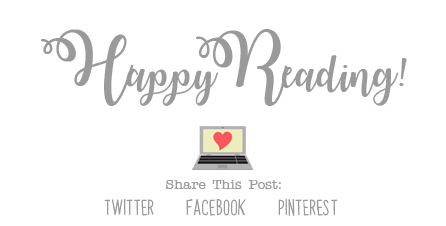 I don't want to mention too much about the storyline and spoil anything for anyone who hasn't yet read the book (or the series), but I think I can mention a few things. King's Cage picks up right where Glass Sword leaves off, and since, as I mentioned above, Glass Sword ends with a pretty massive cliffhanger, I was dying to know what was going to happen next for Mare and the rest of the characters in the story. This book is yet another wild ride, full of quite a few twists that I totally didn't see coming, and a few I actually did. It ends with yet another cliffhanger ending, and I'm currently dying once again to know what's going to happen next! Even though I'm kicking myself for not having read the second and third book in the series sooner, I'm actually glad that I waited, because that has given me the opportunity to read the books back-to-back, which has been really awesome. Having to wait a year or more to get my hands on the next book in the series would have made me crazy. Just having to wait a little over a month for War Storm is totally going to make me crazy, and that's just a few weeks! Gah! Haha! 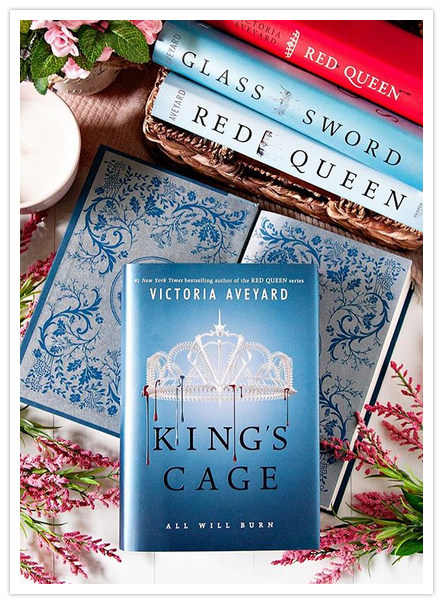 Overall; King's Cage was an excellent addition to this already fascinating series, and I'm now eagerly anticipating getting my hands on War Storm as soon as it's released next month! And, thank goodness I don't have to wait too long for it to release, as I know that wait would kill me. Here's hoping for great things with War Storm!